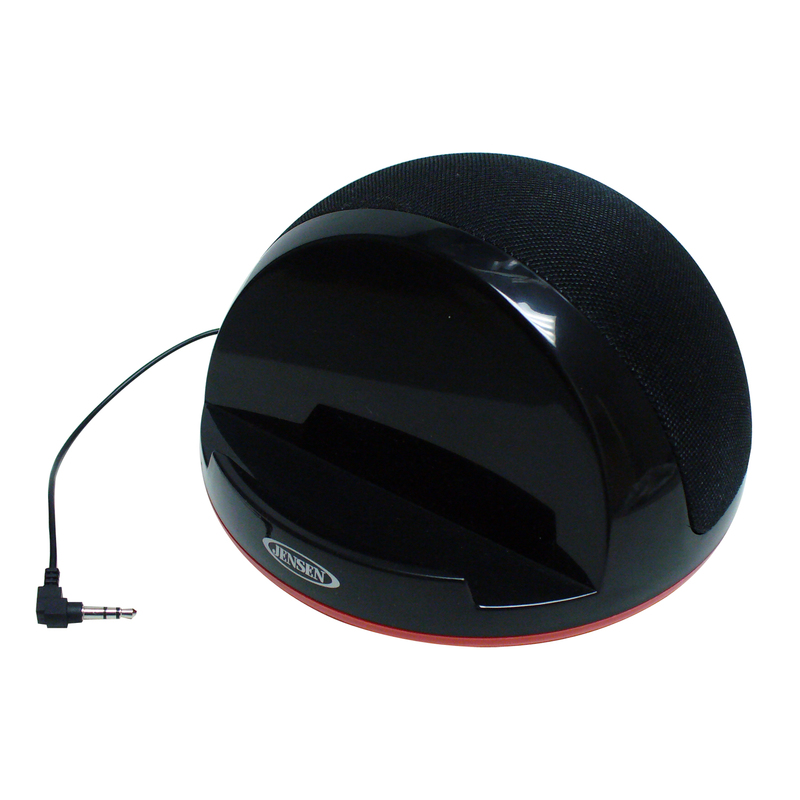 Listen to music on the JENSEN® SMPS-182 Portable Stereo at home or on the go when you plug in your tablet, eReader, smartphone, iPod®, MP3, or any other digital audio players. 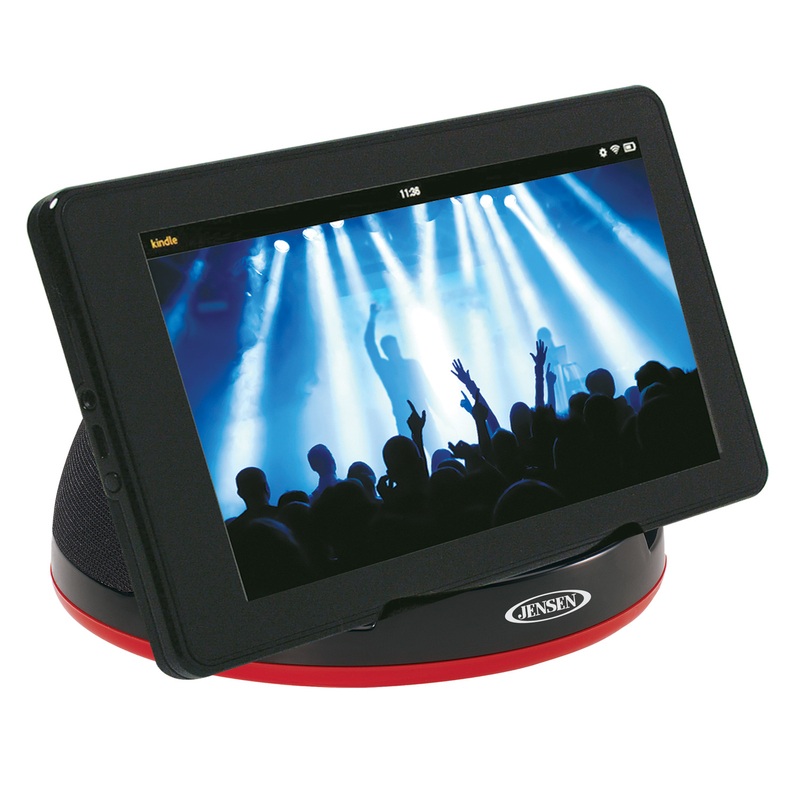 This stereo speaker also acts as a stand for your device; you can choose either Portrait or Landscape position. 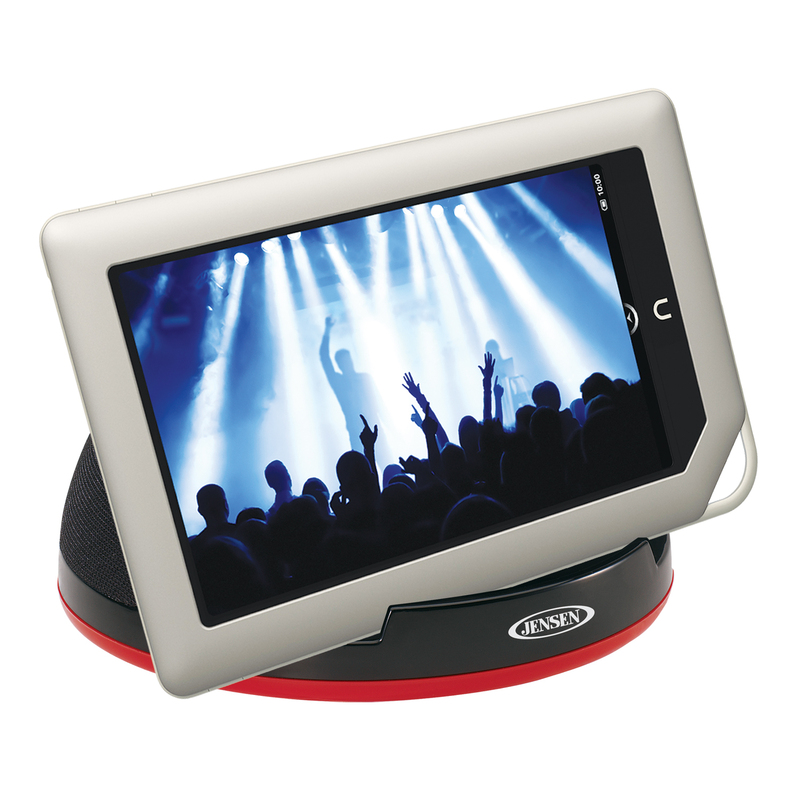 This unit includes a corded stereo input plug for easy connection and two built-in high fidelity speakers. It is also powered by four (4) x “AA” batteries (not included) or AC adaptor (not included). 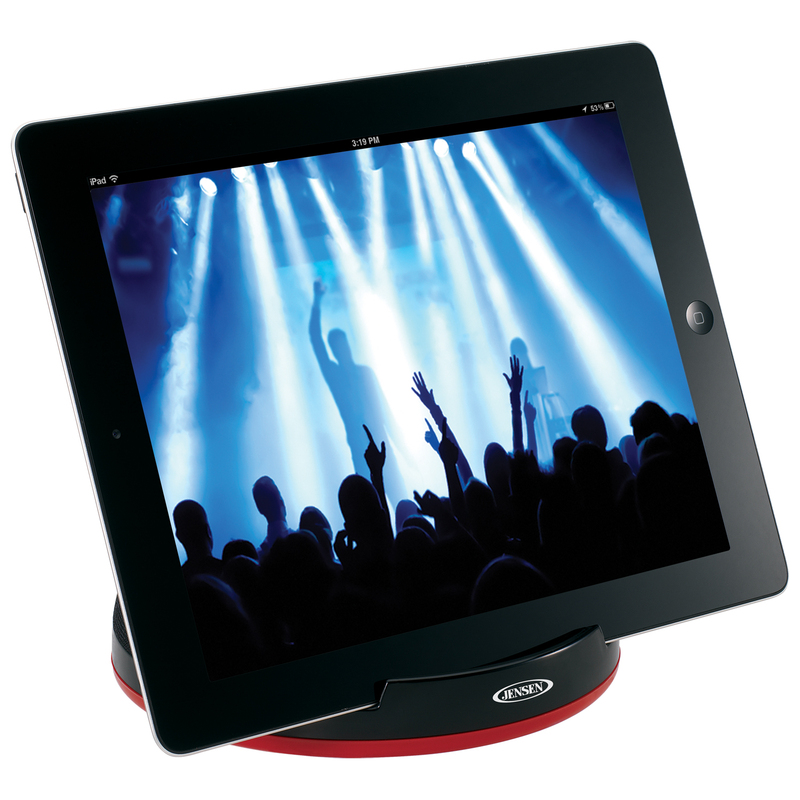 Pump up the volume to your favorite tunes from almost any device with the SMPS-182 Stereo Speaker System and stand.